Welcome to the financing options! 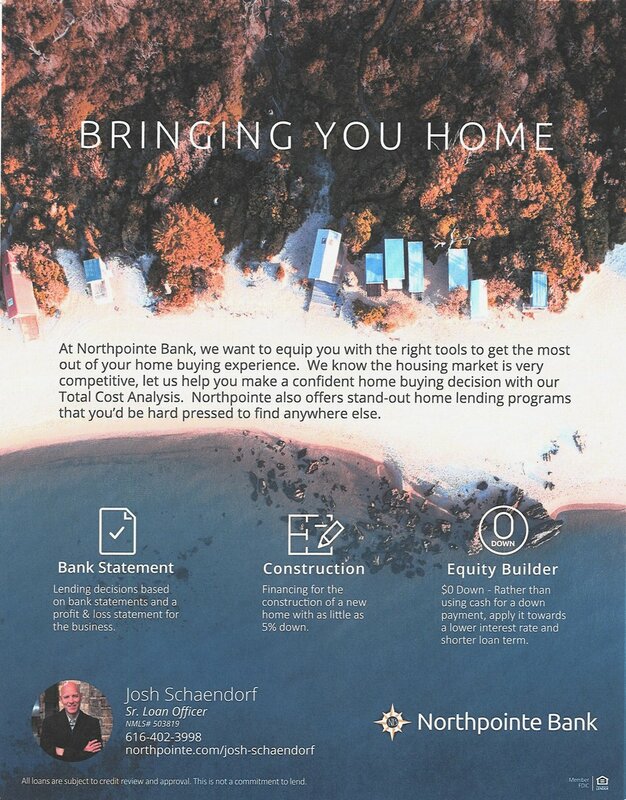 MEET JOSH FROM NORTHPOINTE BANK IN GRAND HAVEN! 4 beds - 2.5 bath - 2,101 sq. ft.
2 beds - 2 bath - 1,514 sq. ft.
2 beds - 1.5 bath - 1,478 sq. ft.